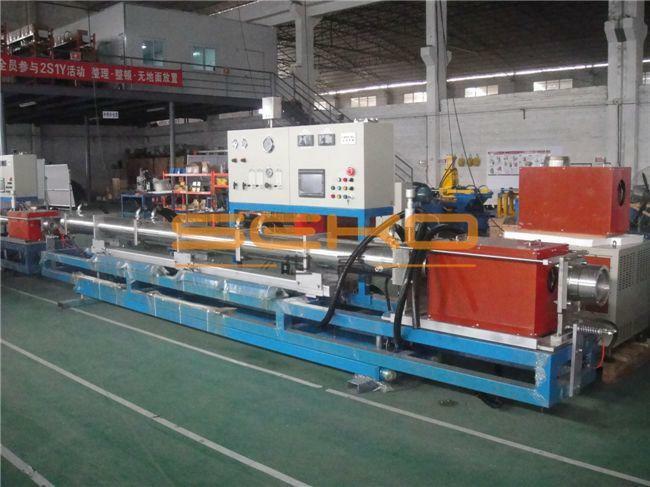 The safest,most efficient online/inline bright annealing machine in China. SGL-N series intelligent bright annealing machine is the newly-developed product of our company.We develop this machine on the basis of the energy-saving bright annealing machine by improving its performance in safety and intelligent control.It adopts the advanced induction heating power supply, the new type DSP＋IGBT power supply.It has perfect self-protection and self -diagnostic function,saves 15% energy comparing with the similar product.Its sensor is particularly developed according to the characteristics of stainless steel. 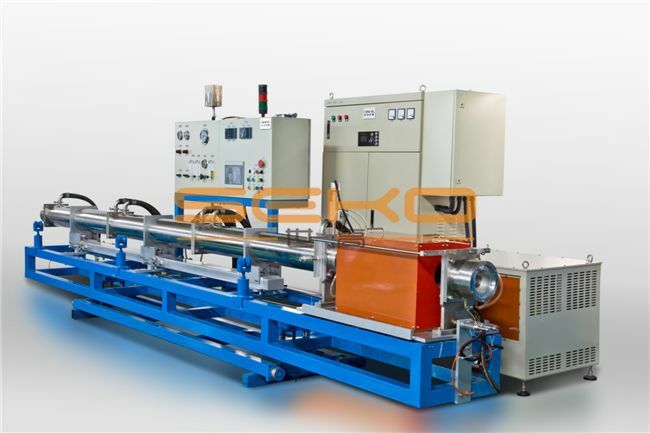 1.Moving tunnel:When the pipe meeting abnormal resistance,the tunnel can move automatically and the complete machine line will halt to protect the machine. 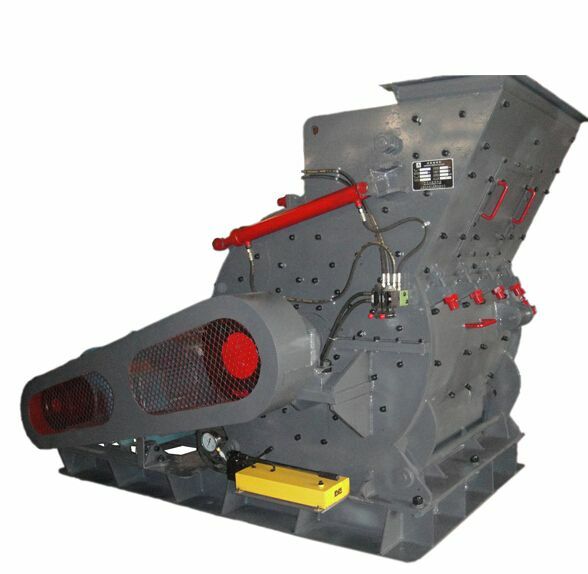 2.Real-time oxygen monitoring system:It can monitor the oxygen content in the tunnel during the work process to ensure the safety of both machine and people. 3.Intelligent Igniting and Flame Monitoring System:Ignite the end gas automatically and monitor the flame and alarm automatically when the fire go out abnormally. 4.Hydrogen pressure monitoring system:When there is excessive hydrogen pressure in the tunnel,the system will lower the pressure automatically. 5.Transversal moving:The machine can be moved transversally when the tube does don’t need heating treatment. 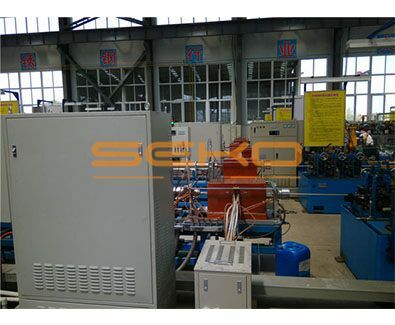 6.Hydrogen pressure monitoring system:When there is excessive hydrogen pressure in the tunnel,the system will lower the pressure automatically. 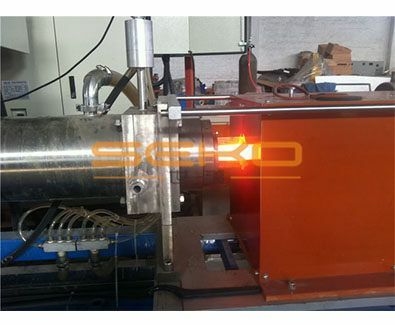 7..Special Seal Component:Prevent the gas of the machine from leaking strictly to ensure the safety and save the energy. Moving tunnel:When meeting abnormal resistance,the equipment can move automatically to protect the system. Transversal moving:The equipment can be moved transversally when the tube does don’t need heating treatment. 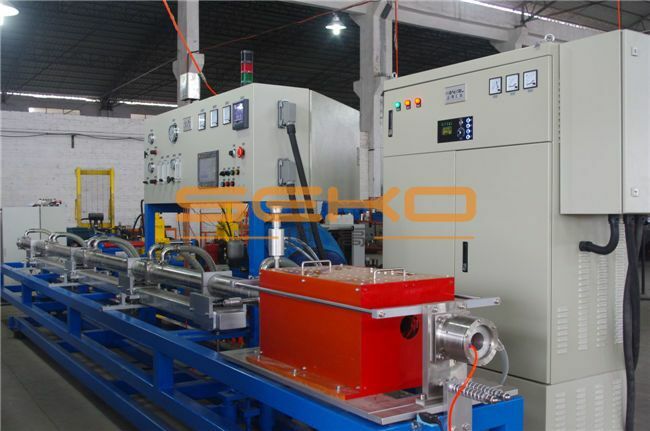 3.Hydrogen pressure monitoring system:When there is excessive hydrogen pressure in the tunnel,the system will lower the pressure automatically. 4.Oxygen real-time monitoring system:Detect and analyse the inbreak of oxygen in the tunnel. 5.Intelligent Igniting and Flame Monitoring System-Ignite the end gas automatically and monitor the flame and alarm automatically when the fire go out abnormally. 6.IR Intelligent Temperature Testing System: The operating temperature can be set according to the stainless steel material. 7.Special Seal Component:Prevent the gas of the equipment from leaking strictly to ensure the safety and save the energy. 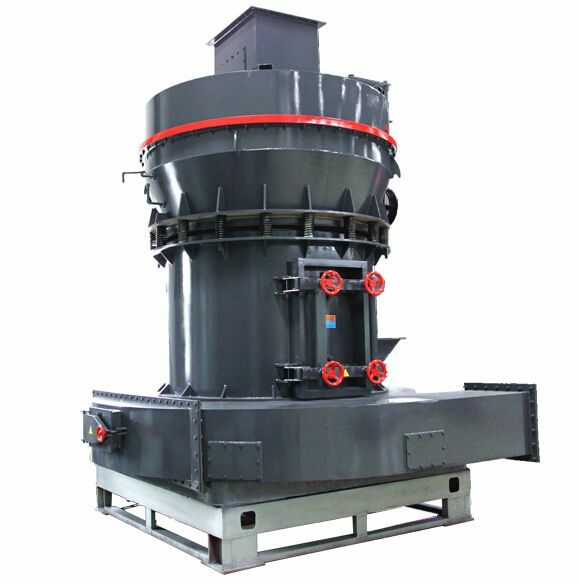 8.Efficient,Energy-saving and Environmental-The high-performance heating inducer and generator can put the indoor temperature to 1100℃ in 10 seconds with lower power consumption. 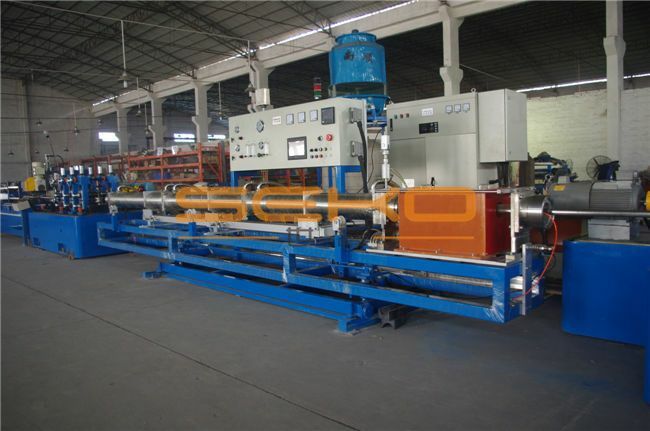 Note: According to pipe diameter、thickness and production speed to match power.